Srinagar : Authorities on Saturday disallowed a seminar on human rights organised by Kashmiri separatist leaders in the house of senior Hurriyat leader Syed Ali Shah Geelani here. 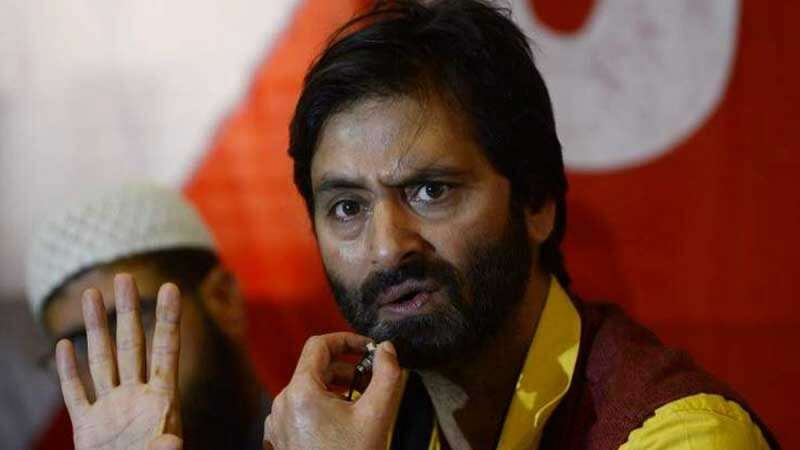 JKLF chief Yasin Malik, who was also slated to take part, subsequently went underground to evade arrest as he intends to lead the separatists' protest on Sunday against the US move to recognise Jerusalem as Israel's capital. The joint resistance leadership (JRL), a separatist conglomerate headed by Geelani, Mirwaiz Umer Farooq and Malik had organised the seminar at Geelani's Hyderpora residence. Titled, 'Human rights violations in Kashmir and criminal silence of World community', the seminar could not be held as a heavy contingent of police and paramilitary Central Reserve Police Force (CRPF) outside Geelani's residence did not allow anyone to enter the house. Geelani has been under house arrest for nearly one year as authorities fear his participation in separatist protests could result in a major law and order problem. Umer Farooq was placed under house arrest by police on Thursday.